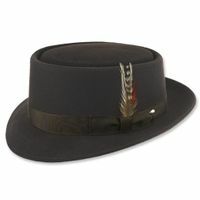 The Stingy Brim Hat is for men who favor style combined with fashion and appreciate the urban attitude and nature that comes with wearing stingy brim hat. 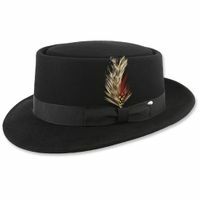 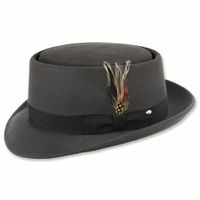 These are completely different in style and attitude from a Homburg Hat. You'll find these fashion minded smaller brim style hats worn by all kinds of musicians and celebrities because they always appreciate dressing stylish and marching to the beat of their own drum, pun intended. You can wear a stingy brim hat in a casual manner or even wear it in a more dressed up manner with a suit if you so choose. 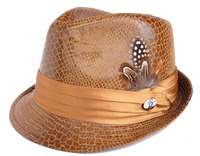 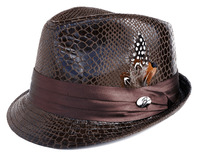 Get your casual style on point with a stingy brim hat from Contempo Suits.